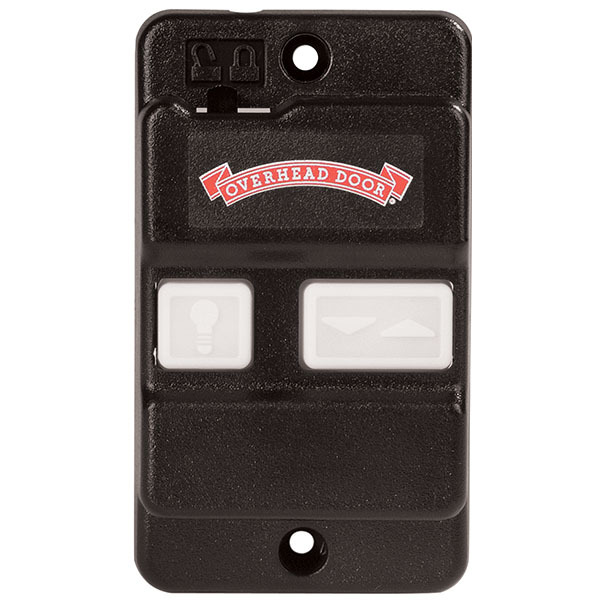 This Overhead Door® Wall Console design features large push buttons to allow for easy garage door operation as well as convenient control of the opener’s lighting. The Sure-Lock™ feature provides safety and security when residents’ are away from home for extended periods of time by disabling remote transmitters and wireless keypad operation when activated. It is easily activated and deactivated from the wall console. This product allows for easy wall-mount installation.